"Jim waited for the mourners to file out—all three of them. They were people whom Cassie barely knew […] but they had worked with her at the club on Rue Bourbon for the grand total of three weeks she’d been there. The bartender saw him on the way out and tipped his hat." 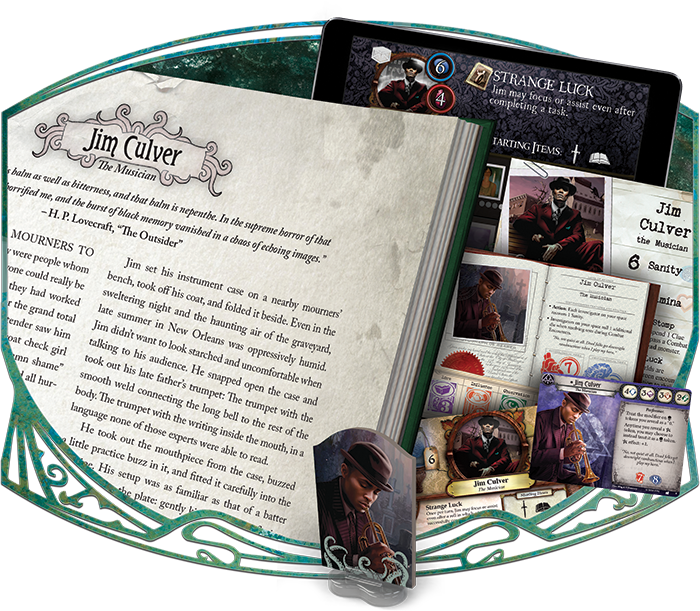 As you may know by now, The Investigators of Arkham Horror is a beautifully illustrated, full-color, hardbound book of 264 pages. 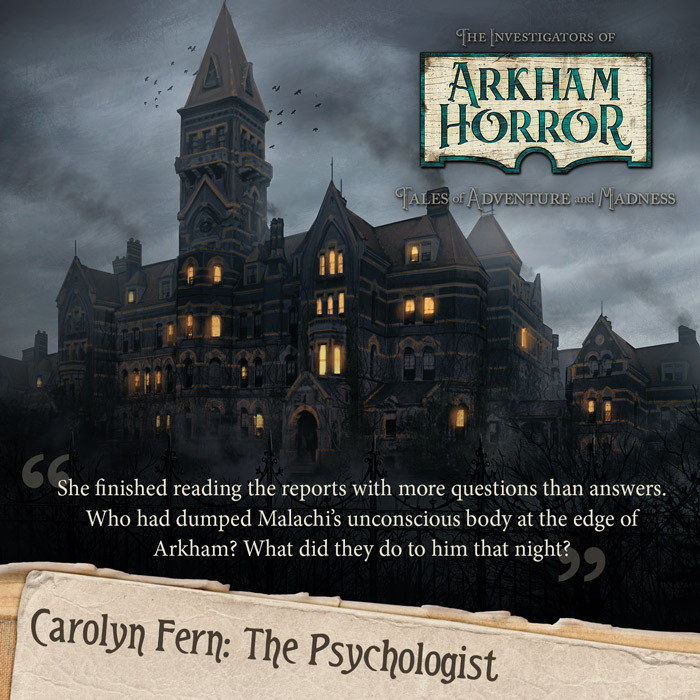 It offers you a deeper understanding of the Arkham Horror Files setting over the course of fifty-two short stories, each of which follows a different investigator and their adventures within the twisted dangers of an ancient mythos. And because many of these investigators visit the same haunts or find themselves drawn to the same mysteries, you'll find their stories fleshing each other out—even though they aren't directly connected. We looked at some of the ways the stories intersect in an earlier preview, "Who Is Carl Sanford?" And we saw how a number of different investigators found themselves concerned by the political influence and strange activities of the Order of the Silver Twilight. 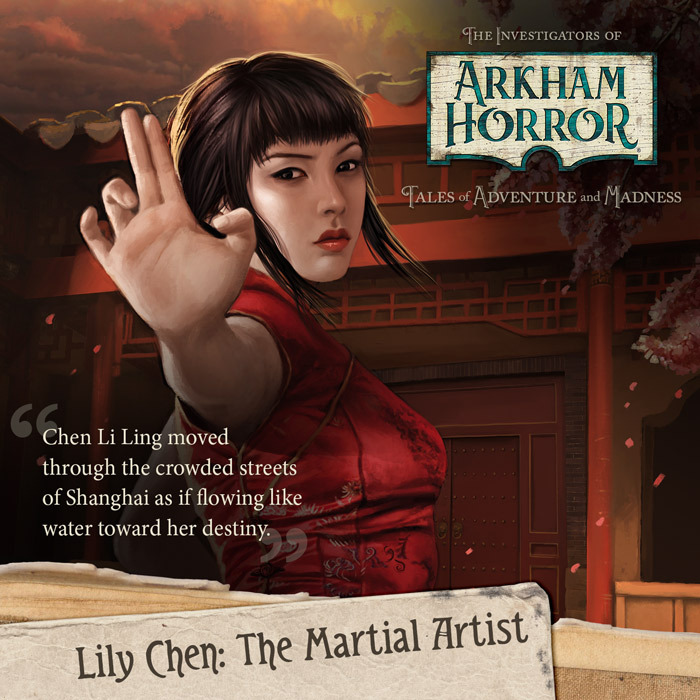 In another preview, "Pulp Action and Lovecraftian Horror," we explored how the book's stories offer a clearer picture of what sets the Arkham Horror Files setting apart from other worlds and works inspired by the Lovecraftian Mythos. But the truth is—despite all the entertainment they provide and work they do—none of these stories depict their investigators in the midst of their most desperate struggles. You know the stakes aren't as high as they could be because the investigators must all survive their adventures. They might be scarred, sure, but they won't be devoured or driven hopelessly insane. Why? Because those horror stories are reserved for your games. 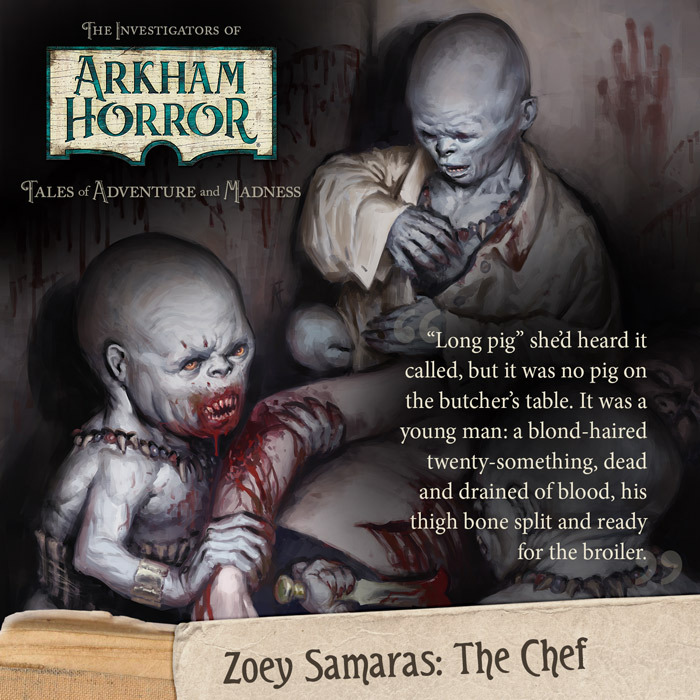 If it's noteworthy that the stories in The Investigators of Arkham Horror are full of pulp action and Lovecraftian horror, it's because they set the stage for the adventures you can enjoy in your games of Arkham Horror, Eldritch Horror, Elder Sign, Mansions of Madness, Arkham Horror: The Card Game, and our other Arkham Horror Files games. It's only in these games that you'll guide these investigators through the adventures that could very well prove to be their last. The stories in The Investigators of Arkham Horror just set the stage. Still, this is a world full of profound mysteries and unfathomable terrors; there's a lot of work to be done. Why would Jim Culver leave the jazz-filled streets of New Orleans for the sleepy, New England neighborhoods of Arkham? What draws Lily Chen all the way from China? Their stories address these questions, allowing you to better understand how they might respond to the cultish activities of Arkham Horror: The Card Game or the global mysteries of Eldritch Horror. 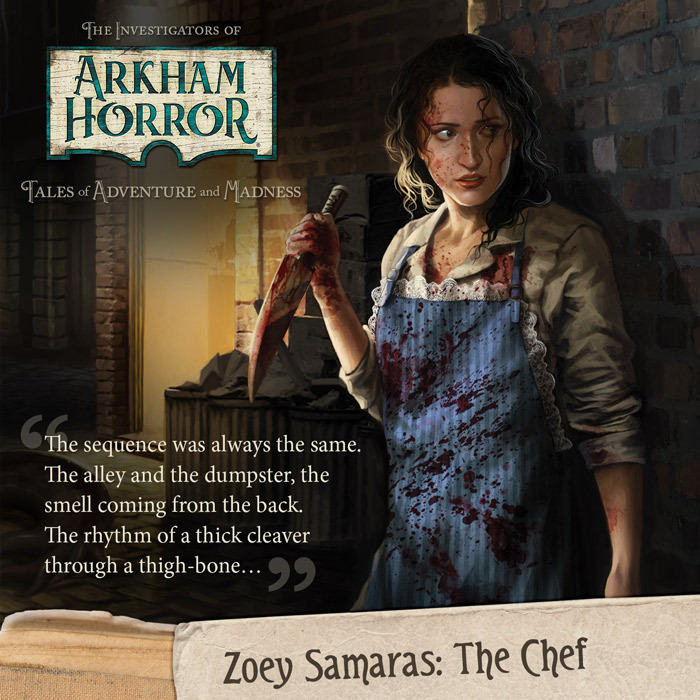 Similarly, understanding how Monterey Jack is already connected to the Mythos may allow you to experience his adventures more deeply when you play as Jack in Arkham Horror or Mansions of Madness. And you might gain more enjoyment from playing your games as Agnes Baker or Zoey Samaras after sharing their visions, as well as their feelings of dread, revulsion, and resolve. Perhaps, the next time you need to close a portal as either of those two investigators, you'll be inspired to greater heights of heroism and self-sacrifice. 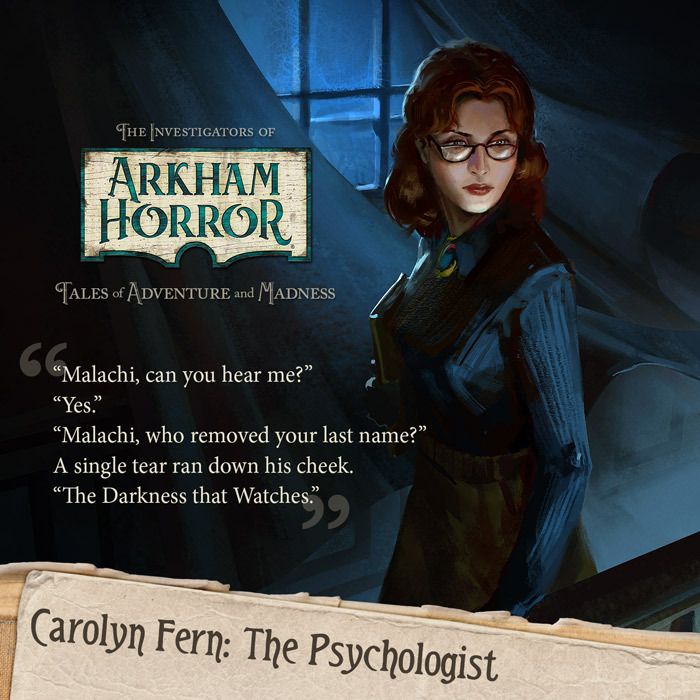 This is what The Investigators of Arkham Horror provides—a deeper, and more deeply felt, understanding of the investigators you play in your games. After all, when you play any of our Arkham Horror Files games, you're embarking upon an adventure. That adventure is shaped by its events, of course, but it's also shaped by your perspective. 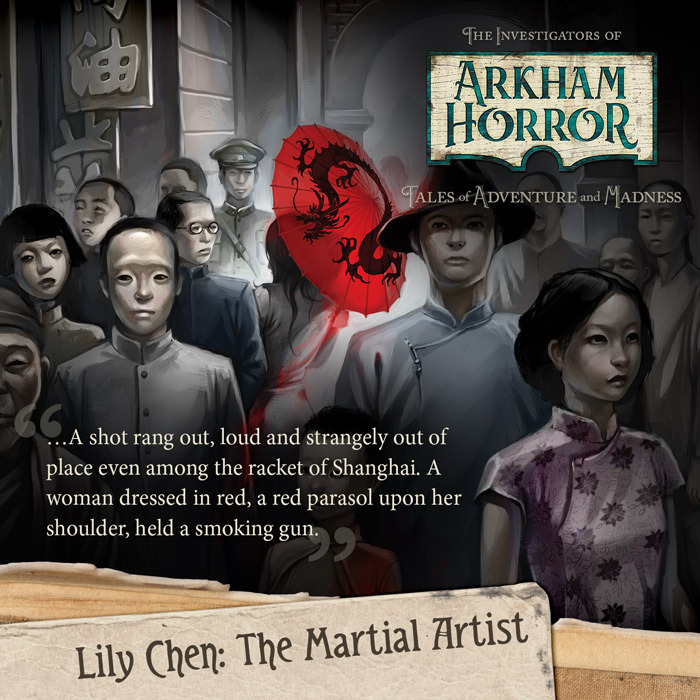 The men and women thrust into action in our Arkham Horror Files games have seen things they can never unsee. They learned secrets that changed them. And now their lives are full of maddening perils—and unwavering purpose. If you've played Arkham Horror or Eldritch Horror or any of our other Arkham Horror Files games, you've already seen the maddening perils. You've chased cultists through the rain-slicked streets. You've uncovered foul rituals in the foggy gloom of a wooded hillside. You've uncovered world-spanning conspiracies. And you've dared step through portals to alternate dimensions full of wonder and terror. But you've not yet traveled back in time to the moments before your investigations began. You haven't walked with Sister Mary during her first encounter with Arkham's supernatural evils. You haven't entered a hotel room alongside Carolyn Fern and startled at the discovery of a blue-black blossom atop her pillow—a flower that you know signifies mystery, darkness, and murder. You haven't traversed Europe in the company of magician Dexter Drake, looking for the secrets of the spell he saw a street magician begin to cast in the Rhineland. And you haven't yet read the journal of Luke Robinson which recounts many of his adventures within the Dreamlands. Soon, though, you may. 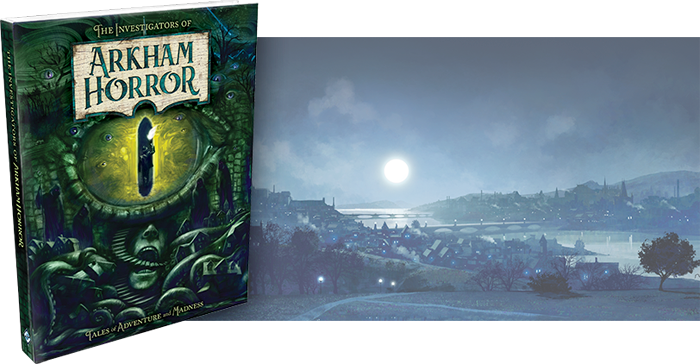 Next Thursday, The Investigators of Arkham Horror becomes available at retailers everywhere, and you will have your chance. Delve into the stories of these fifty-two investigators. Learn what drives them to action. And you will gain a new level of appreciation for your next Arkham Horror Files gaming experience. With lavish art and haunting stories, the 264 gorgeous, fully illustrated pages of The Investigators of Arkham Horror delve deep into the lives of the investigators from Arkham Horror, Eldritch Horror, and all the acclaimed Arkham Horror Files games as they explore 1920s New England, the far-flung corners of the Earth, and the strange worlds of the Cthulhu Mythos.